A lot of fish use camouflage, either for defense or for ambushing prey. From a photographic point of view, the nice thing about these kinds of fish are that they’ll remain stationary, relying on blending in, even when I get quite close. The downside, of course, is that it’s really hard to spot them unless they move. Lately, I’ve been on a bit of a run of noticing some of these fish, moving or not. 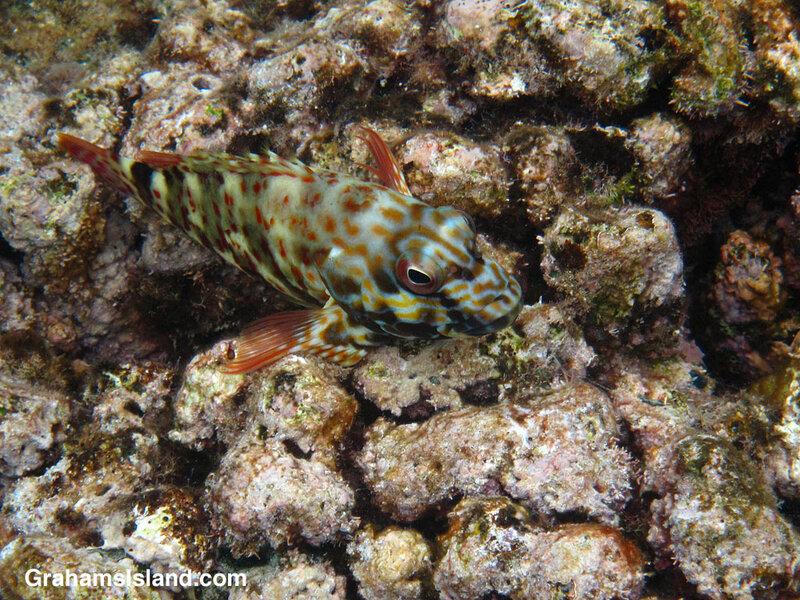 This stocky hawkfish remained glued to this spot even as I floated a foot or two away. It’s fun to see them on the move because they swim quite fast and then plunk down on a bit of rock or coral and are instantly still.